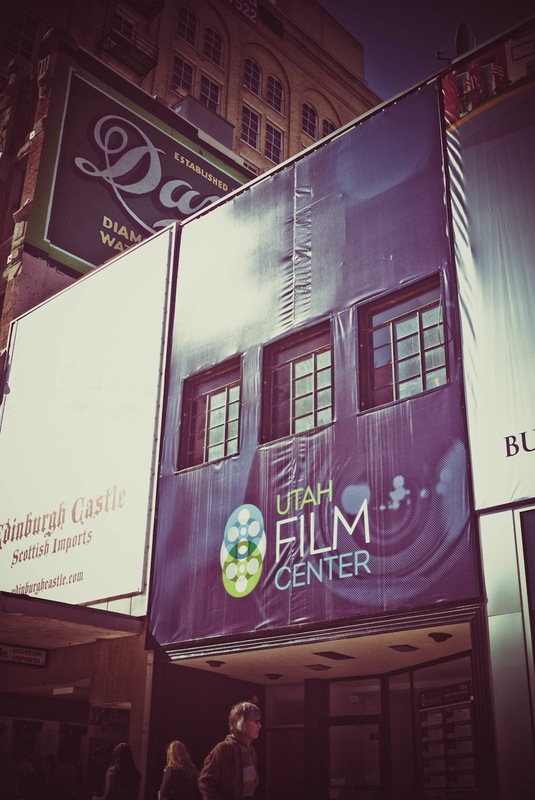 If you aren’t already huge fans of the Utah Film Center, you’re about to be. The UFC has been fighting the good fight for cultural experience and community building here in Salt Lake since 2002. With so many opting to just stay at home and bask in the warm glow of their laptop screens, film exhibition seems to be a dying art these days. The folks at The UFC are holding strong and helping to preserve that cultural experience of getting up off your couch, out into your community, and viewing a film that matters. They're even taking it a step further by providing a live Q&A with the film makers. It’s a whole experience. 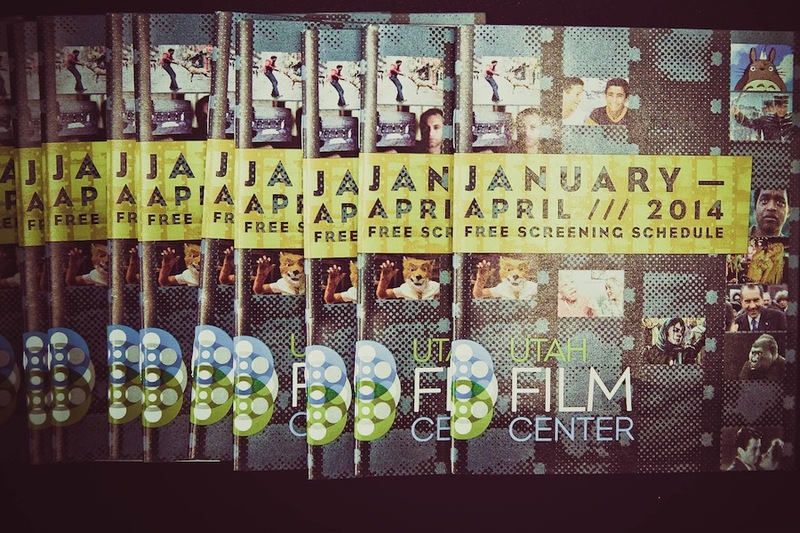 The UFC not only brings outstanding, award-winning documentary and independent film screenings to us Salt Lakers -- for FREE -- every week, but they also put on two film festivals each year: Tumbleweeds [geared toward youth and featuring creative films with high storytelling quality] and Damn These Heels! [featuring LGBT-themed and produced films]. The Center also provides a Fiscal Sponsorship Program to those under-funded filmmakers who need help to get their documentary films made. A stellar 45 films will be sponsored this year [awesome]. 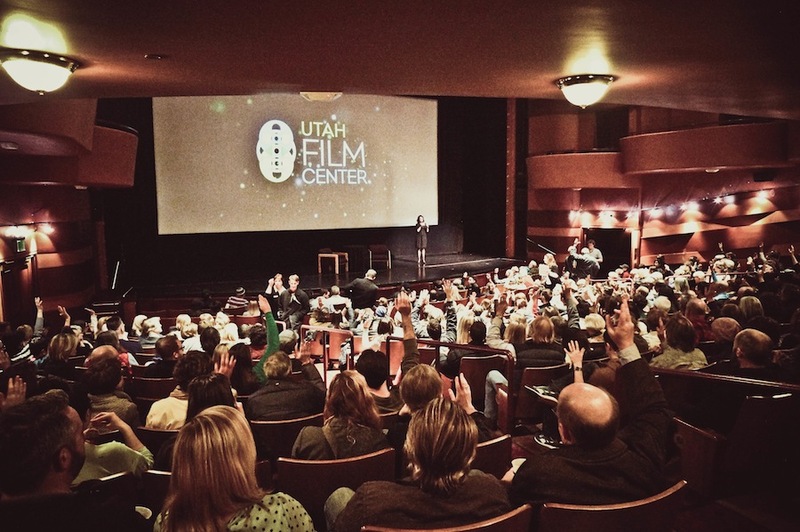 The Utah Film Center’s founder is none other than Geralyn Dreyfous. She’s worked extensively in the documentary film industry and has won awards for the executive production of the film Born into Brothels, as well as the International Documentary Association’s Amicus award for her work fostering films through the the UFC. 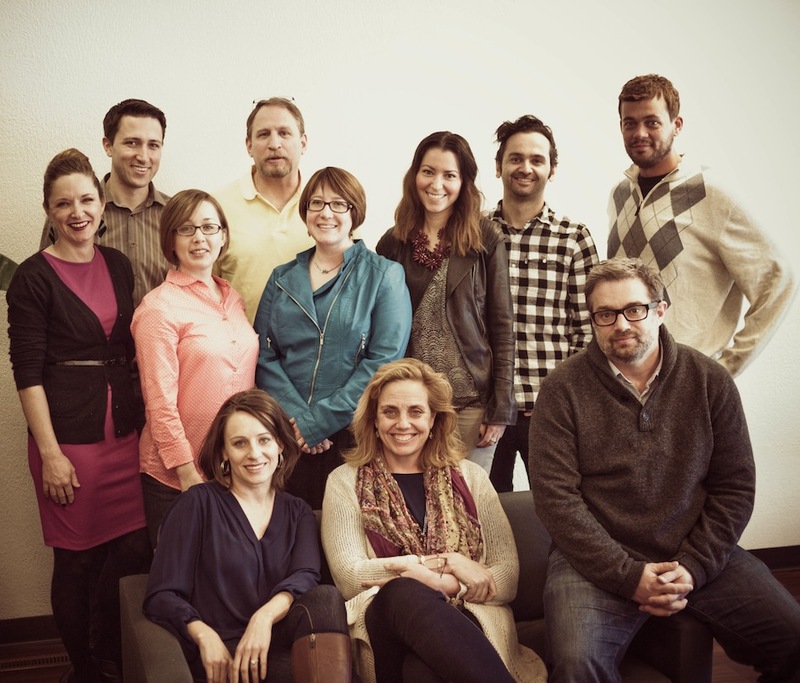 In short, Geralyn and her team have some serious street cred, and they’re doing big things here. We were lucky enough to nab a few minutes of Geralyn’s time, and we got ourselves a little peek into the mind of the pioneering cinema patron. According to Geralyn, she moved to Salt Lake in the 90’s, only to find a very segregated community. People here were very “mono-cultured”-- folks were involved in only the skiing community, or only the film community, etc. There was very little cross-pollination in the way of interests and ideas. There was also a huge lack of local access to documentary films, despite being the home base of the Sundance Film Festival. “Cross-Pollination is what makes a great city,” says Geralyn. And this idea is what The UFC is founded upon, because film is a rare means to bridge the different communities and their exclusive interests. Geralyn also noted the amount of “depth and world-class excellence” that is present in the varied communities of our city. This is a truly cultured and radical place, and one only needs to get out into it to notice. So, c’mon. Turn off Netflix and get off the couch [The UFC attains access to most documentaries before they do anyway]. 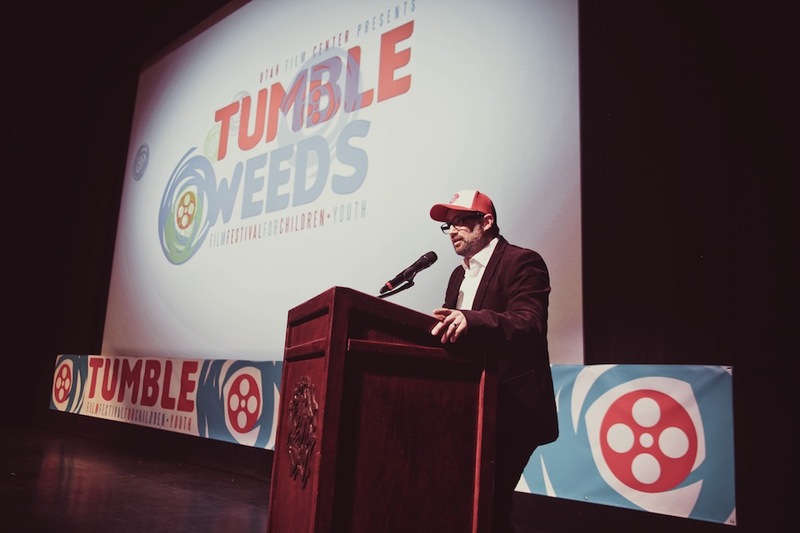 Support our burgeoning little community and learn something new through an independent film. 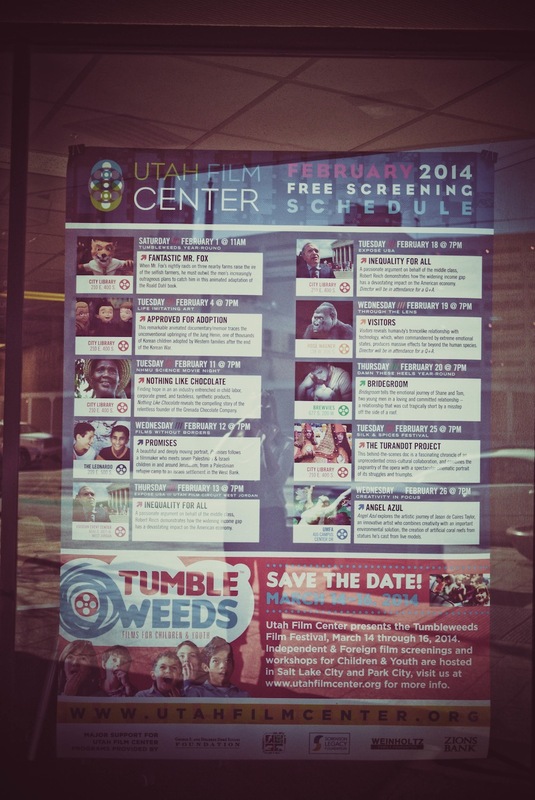 Check the link below for the weekly schedule of free screenings [featuring films like ‘The Square”, which is getting nominated for an Oscar, BTW], and more info on the upcoming Tumbleweeds Film Festival, happening March 14-16. Let’s go to the movies, folks. We’ll bring the Goobers®.